Cases of voter fraud during the 2016 elections are increasingly being uncovered, and demonstrate gaps at nearly every level of the voter-registration and voting process. On June 20, a student at James Madison University in Virginia, Andrew J. Spieles, 21, was sentenced to 100 to 120 days in prison for registering dead people as voters for the Virginia Democratic Party. According to the Justice Department, Spieles registered 18 fraudulent voters. An Aug. 1 case in California likewise raised concerns over illegal voters, after it was uncovered that 11 California counties have more registered voters than they do voting-age citizens. The findings were included in a six-page letter from Election Integrity Project California, a non-profit, and from Judicial Watch, a non-partisan, conservative watch dog group. The letter notes that “California municipalities are not conducting reasonable voter registration list maintenance” that is required under the National Voter Registration Act. The letter threatens a lawsuit against California Secretary of State Alex Padilla, and against the named counties if the issues aren’t corrected within 90 days. In particular, it notes the number of registered voters in Imperial County is 102 percent of adults over 18, in Lassen 102 percent, in Monterey 104 percent, in San Francisco 114 percent, in San Mateo 111 percent, in Santa Cruz 109 percent, in Solano 111 percent, in Stanislaus 102 percent, and in Yolo 110 percent. The most serious cases are San Diego, in which the voters are 138 percent of the adult population, and Los Angeles, at 144 percent. According to the U.S. Census, the average rate of voter registration across the United States is approximately 70 percent of the adult population. 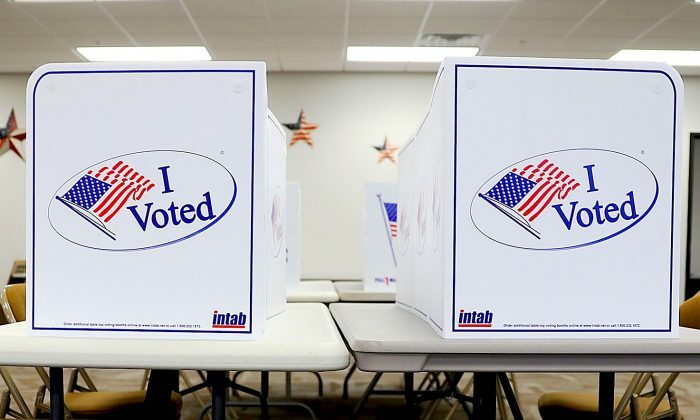 In Colorado, hundreds of people withdrew their voter registrations after the state announced it would begin complying with President Donald Trump’s voter fraud commission, which is asking states to provide their voter registrations, according to the Washington Examiner on July 8. Yet the emerging facts are showing otherwise. Hillary Clinton may have received more than 800,000 votes from non-citizens, according to a report from political scientist Jesse Richman of Old Dominion University in Norfolk, Virginia. According to The Washington Times on Jan. 26, Richman cited national polling by a consortium of universities that says 6.4 percent of the estimated 20 million adult non-citizens voted in the 2016 elections. This follows by a report from the Washington Times on June 19 on estimates from the research organization Just Facts that as many as 5.7 million non-citizens may have voted in the 2008 elections, won by Barack Obama. Fox News pointed to the findings from Just Facts on June 20, noting the estimate supports Trump’s widely criticized statement that millions of non-citizens may have voted in the elections. On Jan. 9, 12 Democrat staffers were arrested and charged with submitting fake or fraudulent voter registration applications. According to AP on June 9, the individuals worked for the Indiana Voter Registration Project.